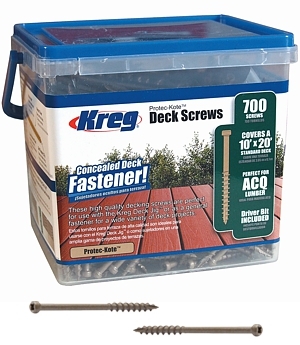 This kit includes 700 high-quality Protec-Kote™ 2' Deck Screws. Approximately enough for a standard 10'x20' deck with 16' on-center deck joists. Also includes Driver Bit.